Anyone who has run a disc golf tournament knows that sponsorships are crucial to making the event successful, and when it comes to an event as large as the Glass Blown Open, it takes a lot of funding to make it as awesome as it’s been in years past. Plans are already in place for 2018’s GBO, and a huge sponsorship has just come our way! OGIO has pledged a total of $25,000 toward our event, and it will make an incredible difference in every aspect of the tournament. Shortly after making the connection with OGIO, our CEO Jeremy Rusco flew out to Utah to meet with executives and solidify a deal. 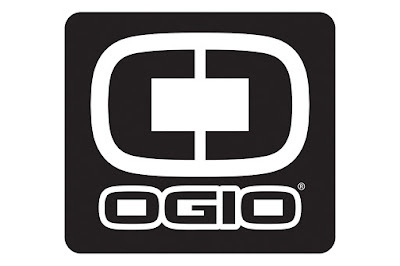 Since then, we’ve partnered with OGIO to create top quality disc golf bags that meet the needs of all players ranging from beginners to touring professionals. The great part about this sponsorship is that it doesn’t just infuse additional support into the GBO for 2018, but it extends so much farther than this one-time event. OGIO is synonymous with quality, and the partnership with Dynamic Discs allows us to create bags that have the reputation of lasting a long time while being comfortable and looking good. “Dynamic Discs has certainly made a large splash in the disc golf bag and apparel market over the last several years. We would not have the quality products and the diversity of products in our lines today if it were not for the continued collaboration that takes part between OGIO and DD,” says Bjerkaas. How does OGIO feel about working within the sport of disc golf, something they previously knew nothing about until Rusco reached out to them? Nick, one of our key partners at OGIO, expressed: “It is on behalf of myself and OGIO that I'm proud to yet again announce our involvement in what we feel is the greatest disc golf event in the world, the Glass Blown Open. For 2018, OGIO has proudly pledged a sponsorship of $25,000 to the event. It's with great privilege that we continue to support such an organization and community that goes above and beyond to ensure a great experience for visitors from all over the globe." Working with OGIO has been a dream come true for us at Dynamic Discs, and we are so excited for next year’s Glass Blown Open. To grab one of our latest OGIO bags, check out our full line-up today!